There are lots of barns around where I live and sometimes I enjoy going and shooting them. Love the whole series. 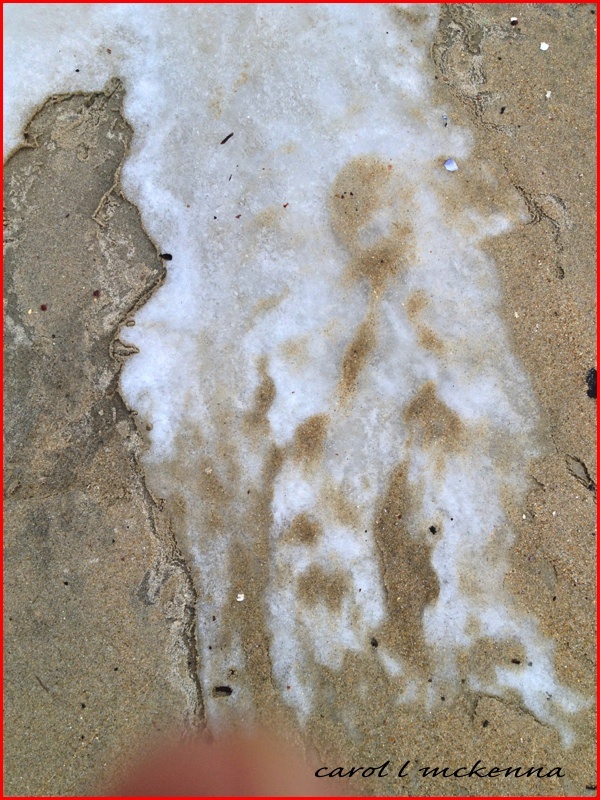 Kept going back to the creative clicks picture...the snow on the rock looks like a petroglyph! Lots of great shots today. Love the little birdhouse. Barn is a good idea for B. I like all the shots. The winter wonderland is magical. One post for several memes, and all creative. :-) Enjoyed my visit. I love barns! They make me feel cozy :) The birdhouse in snow looks quite charming. I love the barn with horses! And the jungle gym shot is so cool! Excellent pics and haiku. Enjoyed them. Lovely collection of photos! Love the idea of land appearing new in winter dress! And barns always seem to have a special romance! Wow. Very cool photos and Haiku. 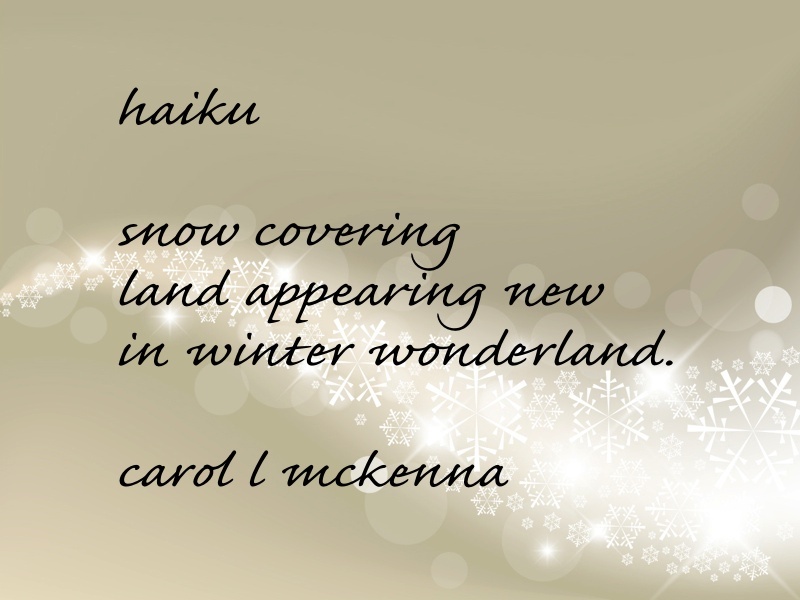 Your Haiku rhymes. 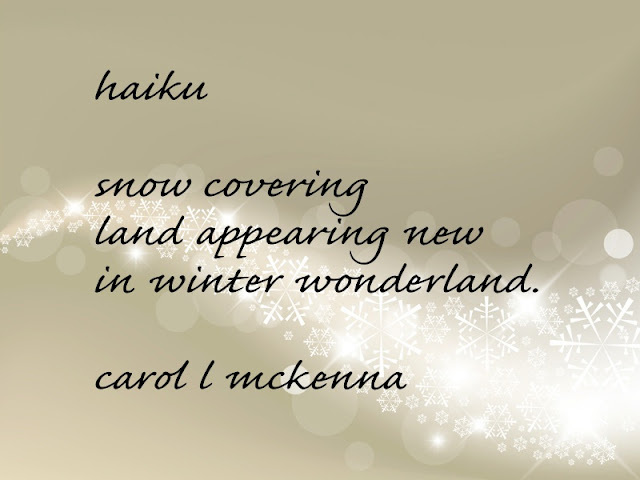 Awesome Carol ... nice haiku. Gosto das imagens...cavalos sempre me transmitem coragem e força. Um abraço! These are good photos. It's nice and cold here right now too. Wow that bird house looks more like a condominium, nice snowy shot, and a tempting Jungle Gym. Look at all that snow! Glad to see some sun in the jungle gym picture. Stay warm! What a wonderful collection of photos for the various memes. 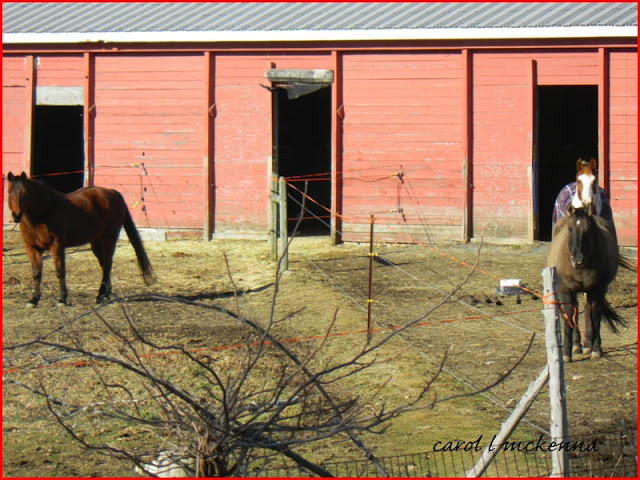 I just love the barn and horses. I like that abstract pattern with the jungle gym - my daughter loves them, but we call them Monkey Bars! Wonderful collection of captures covering great memes! Love that Jungle Gym photo! Cool! The barn looks nice with the horses outside but the Jungle Gym is nothing for me ! 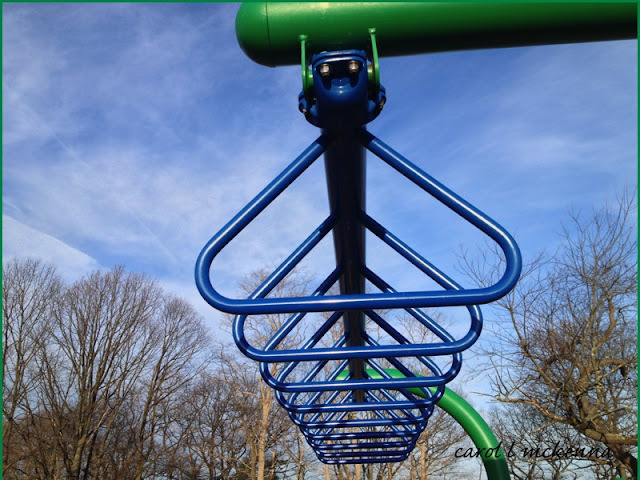 Love your jungle gym photo! And the cute little guy in the snow and rock! 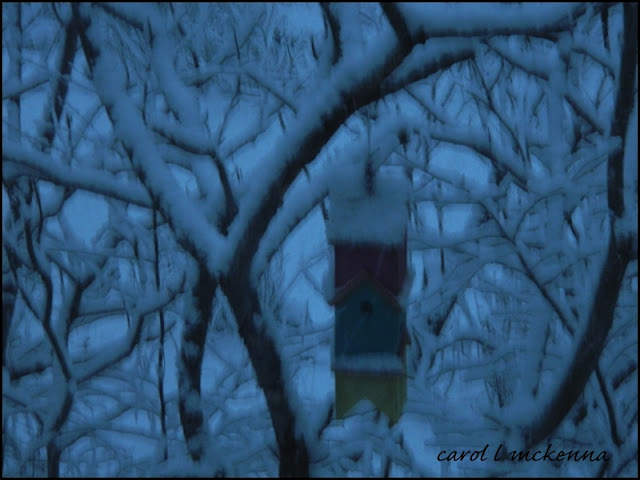 Hi Carol ~~ A nice post just full of interesting tid bits isn't it! Of course it will be the Jungle Jim (Gym if it wasn't "J" Day) for the "J's." My first glance told me it was an antenna array but then I saw your text before I figured it out. looks like you're facing cold weather. you covered a lot of ground here, carol, and very successfully!!!! The landscape of winter gives us such a lot to play with. interesting texture in the snow and rock!